This shop is a great place to find that perfect gift or something special for yourself. Their collections include gifts for holidays, weddings, baby showers, birthdays, and kids – everything from paper goods to stuffed animals, to jewelry, to items for the home. BellaBoo is a downtown children’s boutique that specializes in top- quality stylish clothing, toys, accessories, and baby gear. Everywhere you turn there is something interesting to discover for babies, infants, and pre-school kids. 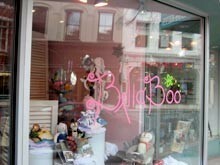 Ask about Bella Boo gift certificates and baby registry. 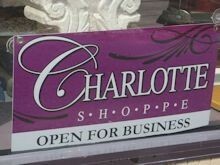 The Charlotte Shoppe is an upscale woman’s clothing boutique located in the Shops at Hager in the heart of downtown Lancaster. 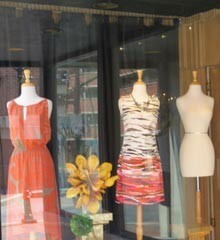 You’ll find apparel, shoes, handbags, and ready-to-wear items. 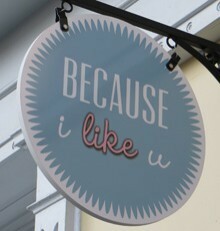 You will enjoy a delightful shopping experience in this shop located in historic downtown Lancaster. 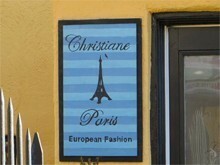 Christiane Paris is a European boutique featuring fashions and accessories from France, Italy, and Spain. 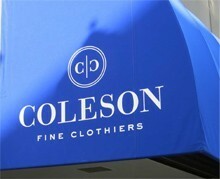 COLESON Fine Clothiers is downtown Lancaster’s premier store for men’s and women’s clothing. You will find a great selection of clothing for any occasion, from casual to business to formal. The staff is knowledgeable, helpful, and friendly. 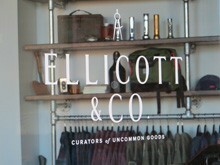 Ellicott & Co. is an unusual men’s goods store selling a wide variety of wares—many handmade in Lancaster. You’ll find apparel, accessories, home goods, and interesting found items. 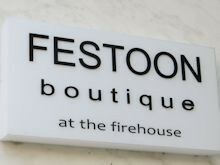 Festoon Boutique is located in an old downtown firehouse. It sells a wide variety of clothing and home décor items, as well as personal care products and greeting cards. 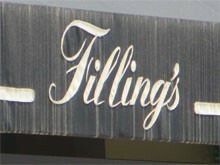 Filling’s sells fine clothing for men and women, with a commitment to outstanding quality, value, selection, and customer service. They offer everything from dressy to casual, plus fashionable accessories. 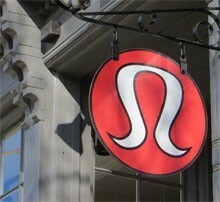 The store is located at College Row. 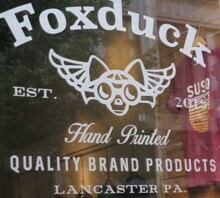 Located across from Central Market, this shop makes and sells Lancaster and Pennsylvania themed T-shirts. 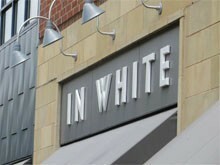 In White is an award-winning bridal boutique. In addition to contemporary and couture wedding gowns, they have a wonderful selection of bridal-party fashions, and cocktail and party dresses for any occasion. 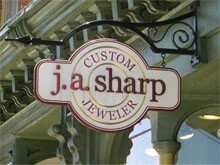 j. a. sharp is a custom jeweler working in gold, silver, palladium, and platinum. The creations are one of a kind, but they can recreate something similar upon request. They can help you with repairs, stone setting, and engraving. The Lancaster store is a showroom for Lululemon Athletica, makers of technical clothing for yoga, running, and most other sweaty pursuits. There is so much to see in this multi-merchant marketplace. You’ll find small-scale craftsmen, vintage goods, home decor, leather bags, candles, jewelry, and handmade children’s clothing. You’ll find the best of clothing, jewelry, purses, accessories, and gifts with a focus on sustainability, ethical, and uniqueness. 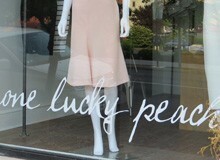 One Lucky Peach is a women’s contemporary apparel and small goods store located in the fun 300 block of North Queen Street in downtown Lancaster. 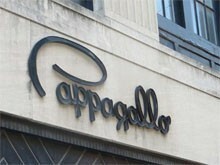 Pappagallo makes shopping for women’s fashion fun. 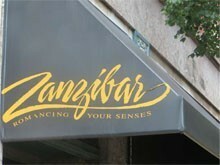 They have a great select and outstanding service. 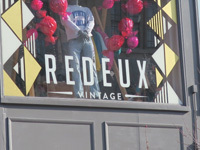 In this charming shop you will find top-quality contemporary sportswear, dresses, cocktail attire, premium denim, and accessories. 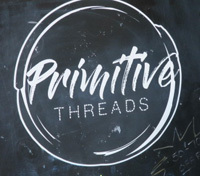 Primitive Threads is a popular local shopping destination offering men’s, women’s, and children’s clothing. Ream is a fine jeweler that carries a large selection, including many of the world’s finest jewelry designers. They are also a premier diamond and bridal jeweler. The best in vintage fashion and home decor. 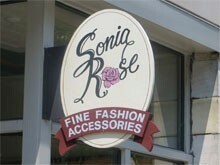 Sonia Rose is a fresh and different kind of women’s clothing and accessories store. In addition to dresses, they feature hats, purses, jewelry, wraps, and interesting gift items. 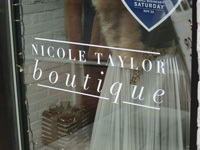 This unique upscale women’s clothing and lifestyle boutique specializes in chic, forward-thinking fashion, home décor, and gifts. You’ll enjoy the eclectic selection. You’ll find distinctive women’s clothing – tasteful and yet fashionably trendy. 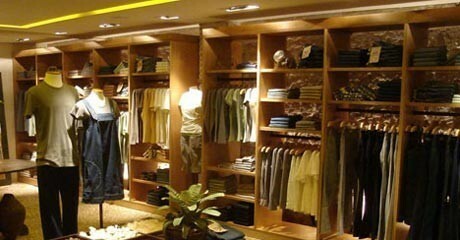 Enjoy an upscale shopping experience in a shop that offers personalized service. 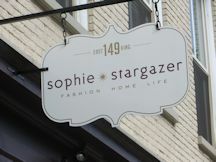 They are known for their extensive and unique sweater collections, as well as Brighton collectibles and Naot shoes. 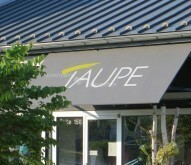 Taupe offers a variety of unique, women’s fashion – from LA style to New York elegance to European flair in an upscale urban environment. 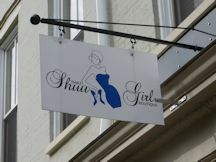 This women’s affordable clothing boutique offers the latest fashion trends in clothing, shoes, and accessories. 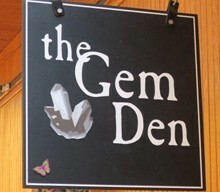 You can find large specimen gems, thumbnail specimens, meditation supplies, and a variety of meaningful gifts. 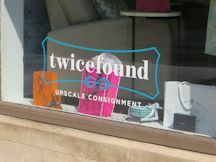 This stylish shop is a high-quality upscale consignment store selling clothing and accessories for women, men, and children.